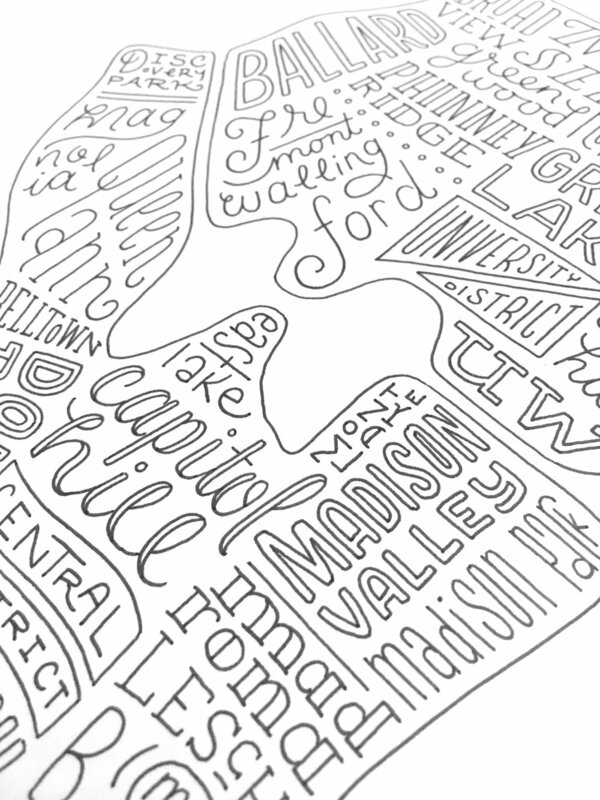 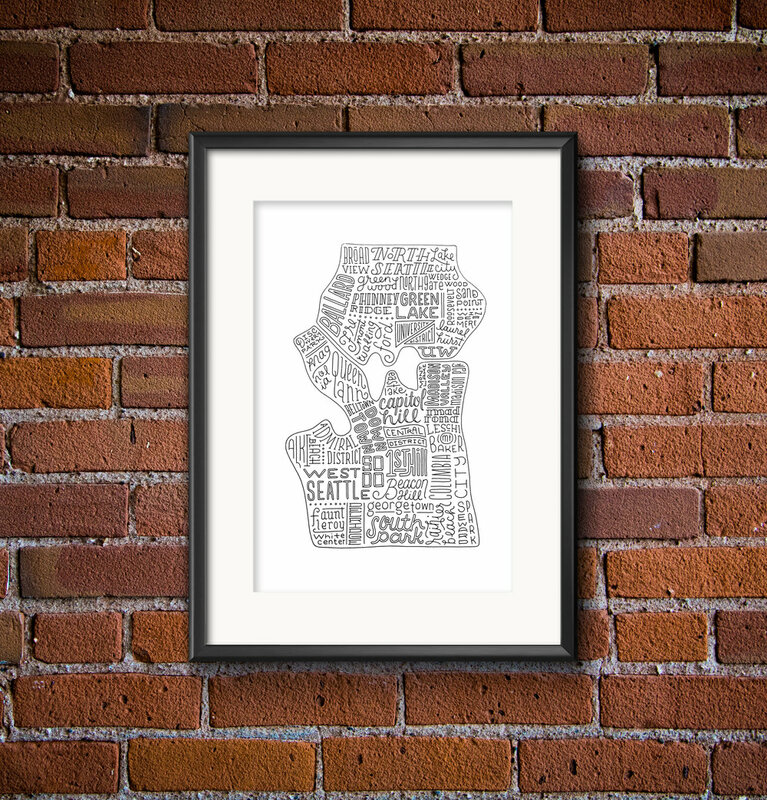 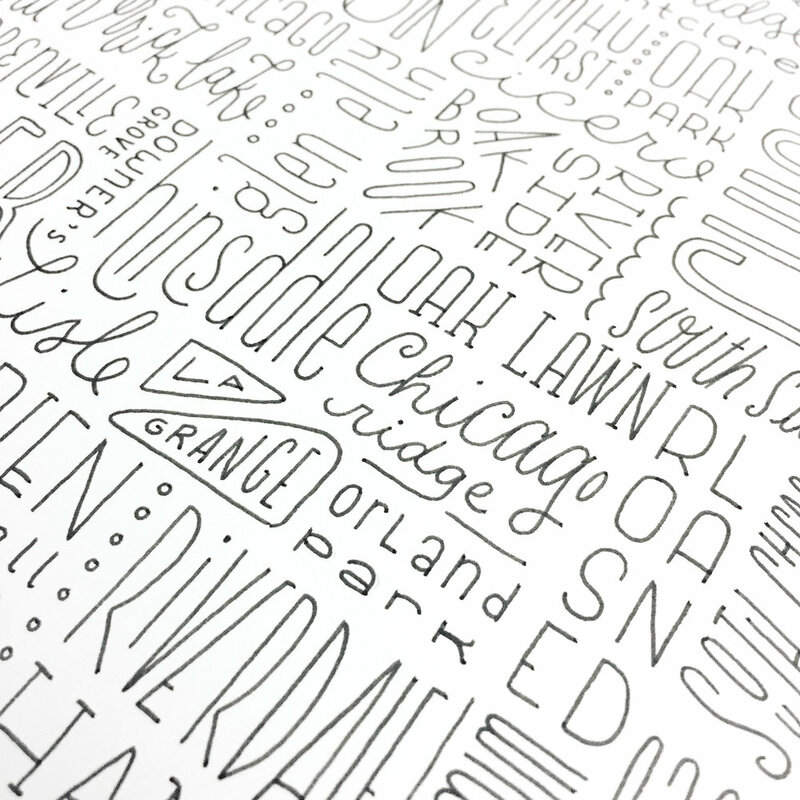 For a girl who won her 4th grade geography bee but was always doodling during class, it really wasn't a surprise that the intersection between maps and lettering would be fascinating to me. 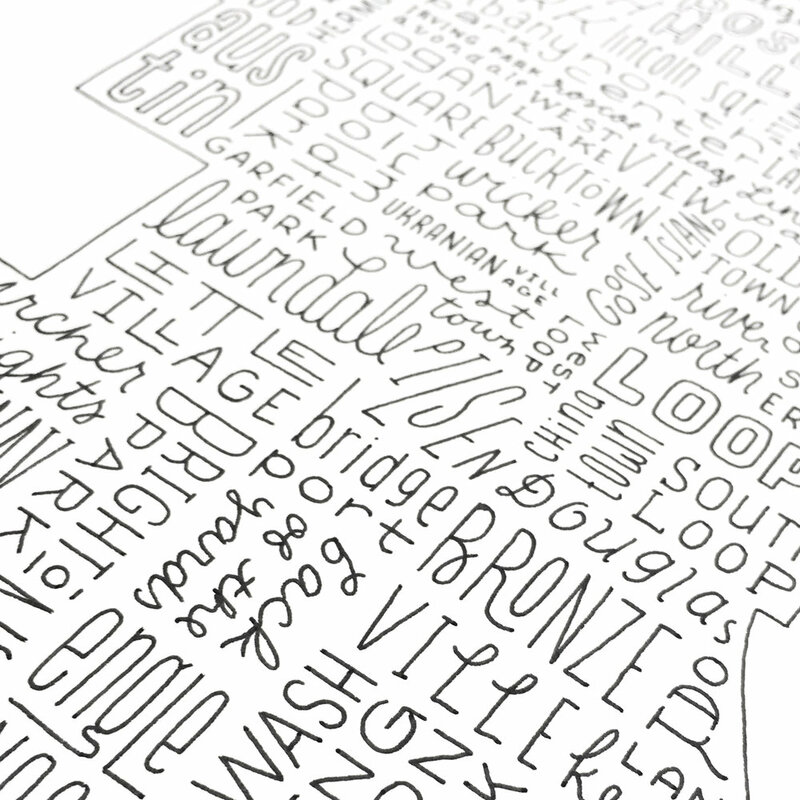 Over the past year, I have loved creating my own versions of city maps by giving each distinct neighborhood its own typographic style. 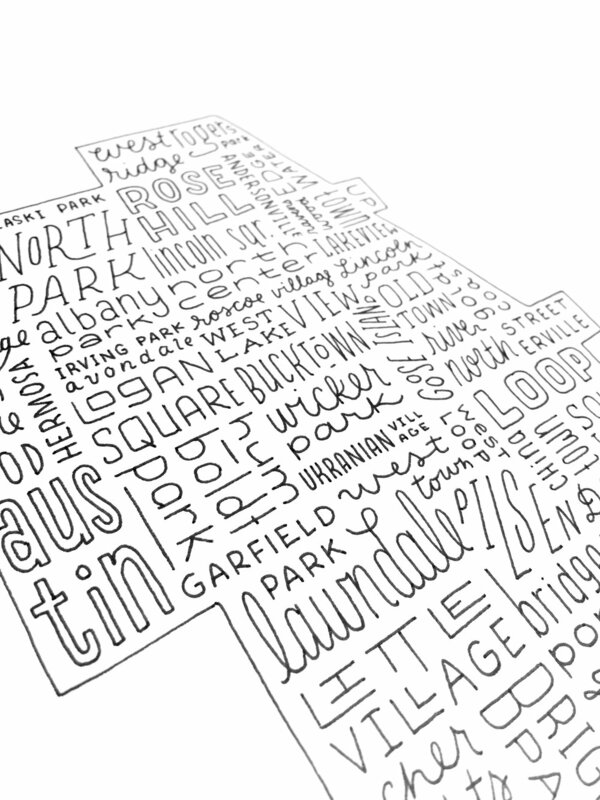 I give myself the design constraint of using a uniform line weight, which ties the composition together and forces more creative variations on lettering technique. 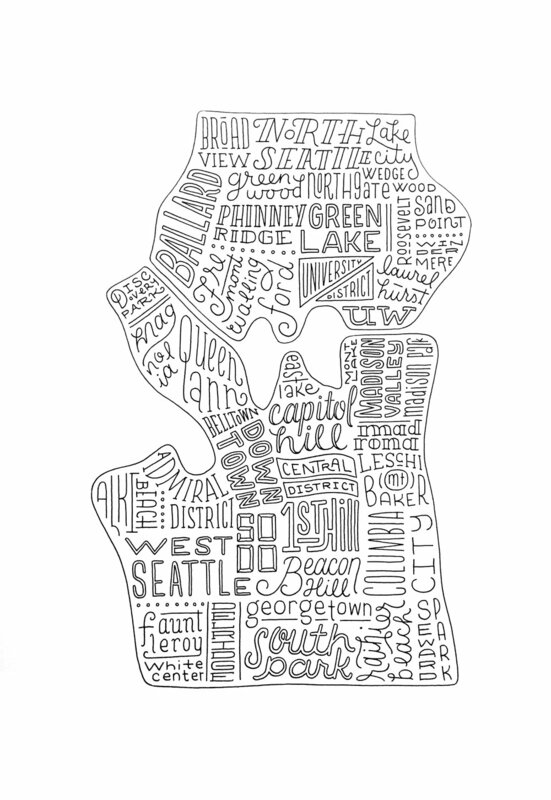 These are truly a pleasure for me to make, so please reach out for commission requests of your own city!